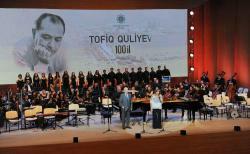 A ceremony to mark the 100th anniversary of the Azerbaijani prominent composer, People's Artist, State Prize Laureate Tofig Guliyev was held at the Heydar Aliyev Center in Baku on November 7. 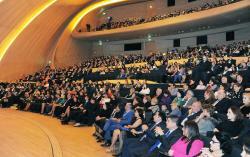 The event was organized by the Heydar Aliyev Foundation under the order of President Ilham Aliyev. 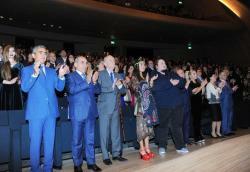 Prior to the ceremony, People's Artist, Rector of the National Conservatory of Azerbaijan Siyavush Karimi, and Chairperson of Azerbaijan's Composers Union, People`s Artist Firangiz Alizade shared their views on Tofig Guliyev's contributions to the development of Azerbaijani music. 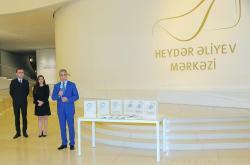 Made by the Heydar Aliyev Foundation, a multimedia collection dedicated to Tofig Guliyev`s creative activity was screened in the foyer of the Heydar Aliyev Center. 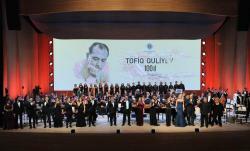 Addressing the event, head of the project, Executive Director of the Heydar Aliyev Foundation Anar Alakbarov noted that the collection features a thorough analysis of Tofig Guliyev's creative work, as well as prominent figures` memories about the composer. Anar Alakbarov expressed his gratitude to Azerbaijan's First Vice-President Mehriban Aliyeva for assistance in organizing the event. Addressing the ceremony, the composer's son, film director and screenwriter, People's Artist Eldar Guliyev and the composer's daughter, artistic director of the jubilee concert Lala Guliyeva thanked President Ilham Aliyev and Mrs. Aliyeva for the organization of the event. 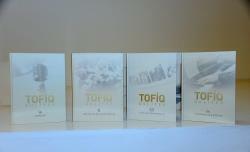 Following the speeches, the event featured the screening of a short documentary about Tofig Guliyev's life and creative activity. The event also featured a concert program. 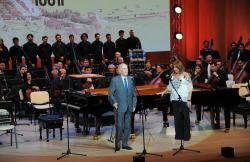 Leyla Aliyeva then met with the composer's son Eldar Guliyev and his daughter Lala Guliyeva. She hailed the excellent organization of the jubilee night.